A cholesterol chart provides information concerning cholesterol numbers categorized as good, moderate or bad. The quantity of cholesterol in a blood sample is measured in milligrams per each deciliter of blood taken from an individual. The measurements of good and bad cholesterol tell a physician whether someone is suffering from high cholesterol levels, also referred to as hypercholesterolemia or hyperlipidemia, and needs immediate administrations of medication in addition to dietary and lifestyle changes in order to prevent a possible heart attack. All cells contain cholesterol, a fatty, waxy substance that the body requires in order to manufacture vitamin D, hormones and digestive enzymes. Although our bodies are capable of making all the cholesterol needed to perform necessary tasks, much of the modern food we eat contains cholesterol as well. A comprehensive cholesterol chart can tell you which kinds of foods contain high levels of lipids. Cholesterol circulates throughout the body in the form of lipoproteins, which have exteriors comprised of proteins and interiors made of lipids, or fat. –	The low-density lipoproteins (LDL). –	And the high-density lipoproteins (HDL). Although it is essential to carry healthy amounts of both lipoproteins, possessing high levels of LDL inevitably leads to plaque build-up in heart arteries and possible heart disease. Because HDL lipoproteins convey cholesterol from various areas of the body back to the liver, which promptly eliminates this fatty substance from the body, HDL has been termed the “good” cholesterol. Individuals having high levels of HDL in their blood are a reduced risk for heart disease, whereas those with low levels are prone to heart attacks and hypertension. An LDL HDL cholesterol chart effectively informs a doctor whether someone is suffering from an imbalance in these cholesterol levels. Triglyceride level numbers are also contained in a cholesterol chart. As a form of blood lipid, triglycerides are what remain after the body has converted unused calories into fat energy, which are stored in specialized cells meant only to retain fat. When the body requires energy between meals, hormones act upon triglycerides in a way that forces them to release this fat for energy utilization. Eating more calories than are burned increases levels of fats in the blood and tissues, causing weight gain and high cholesterol numbers. In addition, triglycerides promote blood clot formation more than other lipids. The term for a high triglyceride condition is hypertriglyceridemia and its cause is not limited to excess calories. Smoking, sedentary lifestyle, high-carb diet and alcohol all lend to unhealthy triglyceride levels. Usually, the first symptom of high cholesterol is the simply the consequence of harboring an undetected heart issue that results in a heart attack or other peripheral vascular disease. 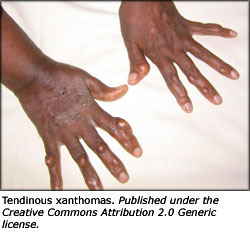 Individuals who suffer from extremely high cholesterol levels sometimes develop deposits of fat under the skin and in tendons, a condition called xanthomas. Spleen, liver or pancreas problems may also emerge when cholesterol levels are out of control. Undergoing blood tests and comparing cholesterol numbers to a cholesterol chart is the most accurate and reliable method to use when deciding whether high cholesterol levels exist. The numbers on an LDL “bad” cholesterol chart range from less than 100 up to 190 or higher. The optimal number to receive from a blood cholesterol test is less than 100. Scores between 100 and 129 are considered near optimal; a number falling between 130 and 159 is considered borderline high; LDL cholesterol levels between 160 and 189 are high. Finally, any number over 190 is dangerously high and necessitates immediate intervention to prevent debilitating heart conditions from occurring. An HDL cholesterol chart contains different numbers than an LDL chart. Optimal rates of HDL levels are 60 or higher; a number between 40 and 59 is considered almost optimal; and having a less than 40 HDL level puts an individual at risk for heart disease. For the triglyceride chart, the optimal number should be less than 150; levels between 150 and 199 are borderline high; a number between 200 and 499 is high; and anything over 500 is extremely unhealthy. • If you have previously suffered from a stroke or heart attack. • If you have been diagnosed with carotid artery disease that is the blockage of arteries in the neck. • If you have experienced peripheral artery disease, that is blockage of arteries in the legs and arms. 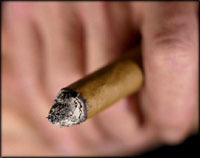 • If you smoke, have diabetes or a family history of heart disease or high cholesterol levels. Genetics influence cholesterol levels and incidences of heart disease to some degree. Even though someone eats healthy foods and exercises, they remain prone to heart disease if several members of their family have been diagnosed with high cholesterol, have experienced heart attacks or suffer from other cholesterol-related illnesses. • If you are male and over 45, or a female and over 55 years of age. A cholesterol food chart contains information regarding the amount of cholesterol in foods. You can see a couple of cholesterol food charts here and here. Useful in preparing a heart-healthy diet, this type of food cholesterol chart will also categorize the types of fats found in certain foods – such as unsaturated, saturated, polyunsaturated, monosaturated and transfat. Most people do not realize that consuming cholesterol does not directly affect the level of cholesterol in the bloodstream. Saturated fat is the specific type of fat that raises cholesterol levels. Just like cholesterol, saturated fat is found in animal-based food products such as cream, lard, butter, cheese, whole milk and marbled meats. Many vegetable oils also incorporate saturated fat as well, which are used to make baked goods and non-dairy whipped toppings. For example, a cholesterol chart can tell you that a 3.5-ounce serving of chicken liver contains 500 milligrams of cholesterol, while the same service size of roast turkey contains only 45 milligrams. Other foods high in saturated fat are bacon, coconuts, some nuts and seeds and sardine oil. These foods may lower “bad” cholesterol levels and raise levels of HDL, or “good” cholesterol, while contributing vitamins, minerals and antioxidants to a healthy diet. This is an excellent source of monounsaturated fats. 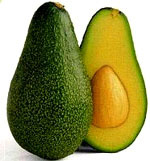 Avocados also provide beta-sitosterol, a plant-based lipid that inhibits the amount of cholesterol the body absorbs from foods. Eating raw garlic may impede formation of blood clots by reducing cholesterol due to a bioactive compound called allicin. Garlic is said to enhance the immune system as well, in addition to preventing plaque from readily sticking to and clogging arterial walls. Beneficial to all aspects of cardiovascular health, fish and omega 3 fats reduce triglyceride levels, reduce blood pressure, inhibit platelet aggregation and enhance endothelial function. According to studies published in the April, 2006 edition of Atherosclerosis and the March, 2005 edition of the European Journal of Clinical Nutrition, consuming one to two drinks of red wine each day increases levels of HDL cholesterol which facilitates removal LDL lipids from the bloodstream. In addition, accumulation of plaque may be inhibited by the presence of polyphenols, which originate from antioxidant-rich grapes used to make wine. Another important ingredient that possibly contributes to lowering LDL cholesterol is resveratrol, a compound found in the skin of grapes. 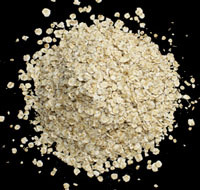 A cholesterol-busting fiber called beta-glucan, found in oat bran and oatmeal has been effective in lowering total cholesterol levels in individuals possessing high LDL and HDL cholesterol. Beta-glucan is a soluble fiber considered a “biological defense modifier” that also stimulates T and B immune cells as well as facilitating with wound healing. Participation in daily exercise is also a component of the Mediterranean diet. Using a cholesterol chart to control cholesterol numbers and create your own healthy diet will encourage you to lead a life potentially free of hypertension and heart disease, as well as help keep your weight down by steering you clear of fatty, high-calorie foods. Always keep an LDL HDL cholesterol chart handy for quick reference in case you want to eat something but are not sure of its cholesterol content. Preventing arterial plaque buildup by avoiding foods high in “bad” cholesterol is the best safeguard you have in preserving a healthy heart well into your old age.